Plans are now being finalized for our annual Commencement. It will be held on July 25-26 at the Orlando Marriott Lake Mary If you are a graduate (any year, any program) or plan to complete your program by May 24, 2019, you are eligible to participate in the graduation program. The Alumni Association Banquet is open to the public as well. To register, complete this form and return it by the deadline date. To participate in the graduation ceremony, you must register by May 24, 2019. Our commencement programs are known for being refreshing, interesting, and memorable. You will be recognized for your personal ministry, and encouraged by a message from our President, Dr. Dan Tyler. Our office schedule has been changed. We will be open Monday through Thursday, from 8:30 until 5:00, but closed on Friday. This will remain in effect through Summer. This is to give our employees time to rest since they all work at our campus church (New Vision Community Church) on Sunday. If you would like to receive a free evaluation, simply click the “Request Info.” tab near the top of this page. Just fill out as much information as you are comfortable with, and provide an email address. We will review your information and email you a reply explaining exactly where you stand academically, and your options for getting started. If you are a graduate of International Seminary and feel the call of God on your life, you may want to consider pursuing ministerial credentials. For information or an application, just call our office at (407) 886-3619, extension 113, or email us at info@InternationalSeminary.com. 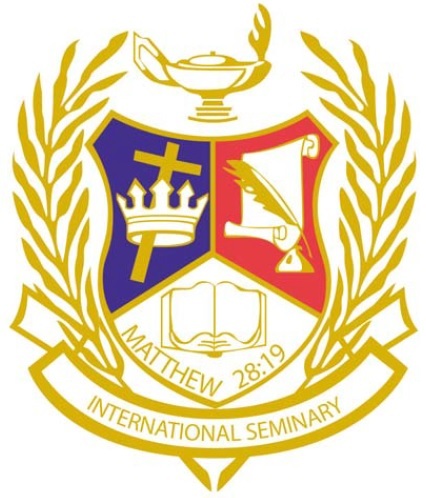 International Seminary would like to share your personal testimony on our website. If you are a graduate, and have a testimony that you would allow to be used (in part or in whole) here on our website, in our catalog, or in other promotions, please send it in an email to testimony@InternationalSeminary.com. Be sure to give your name, the name of your church or organization, and the degree you earned through International. We also want to share your blessings with other graduates. If your degree from International has helped you in securing a job or a promotion, or if you’ve received special recognition in any way (published a book, received an award, etc. ), you can send that information in an email to recognition@InternationalSeminary.com . Again, be sure to give your name and the degree you earned through International. We are proud of the incredible blessings many of our graduates have received, and we would like to share them on this site. Here is our current Seminary Catalog in a downloadable file. Of particular interest is the “Frequently Asked Questions” section at the back.